There’s nothing quite like getting excited about a project while discussing it face to face in a group setting. Not everyone is fortunate enough to have a local writing group that meets in person. 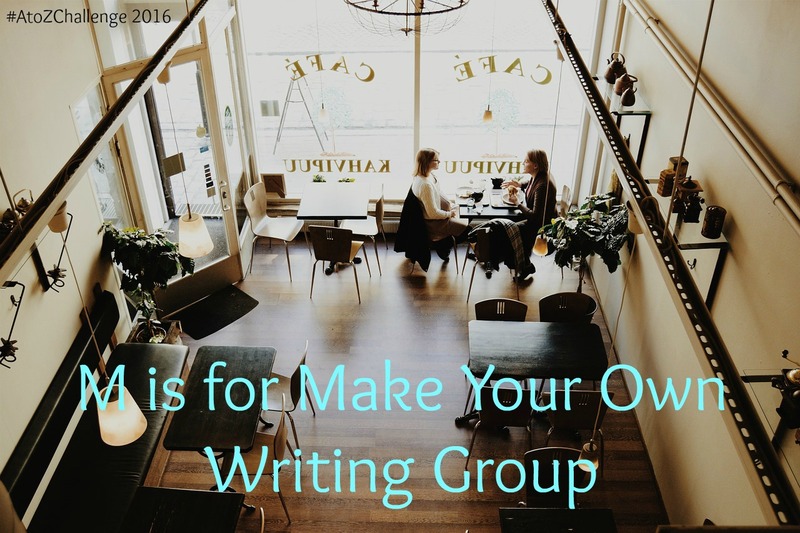 If you can’t find one close by, you can start your own writing group. Let’s assume that you don’t live 100 miles from your closest neighbor and that there is some type of community hub you can drive to within an hour. Traveling further afield may prove unfeasible for regular meetings but is still doable if you need to combine online and meeting-in-person groups. The first writing group I attended was an hour-and-fifteen minutes drive away but only met once a month, so I didn’t mind the drive. Eventually, I needed a group that met more frequently, and that is why I started my own group with the added bonus of it being closer to home. Many people who write, tend not to bring it up much in conversation. I understand how self-conscious many of us feel about admitting to being a writer. Most of the time it’s met with interest. Many people say, “Oh really? What do you write? Have you published anything?” But there’s always that risk that you’ll meet that person who will crush your soul with a derisive look, or some other form of ridicule too horrific to mention. Be brave! Don’t be afraid to tell people you are writing and would like to start a group. You may even find that you have friends in a very similar position. That’s what happened to me. Way back when I started out, I stumbled across a good friend’s blog that she had posted on Facebook. I learned two things that day - 1) she blogged and 2) she was a marvelous writer. I told her I loved her post and that she should write more. Then she admitted that she was quietly working on a novel. This became the foundation of my writing group. So ask around. Tell people you want to start a writing group - shake that tree and see who falls out of it! My friend and I then decided that we would attend a local writing workshop together. That’s where we met the third member of our group. This is a great way to find like-minded writers. Don’t be afraid to ask the person hosting the workshop if they’d like to join your group too. If there are no local writing courses or workshops, you might approach your local school. Many teachers (and not just English teachers) like to write. Post a notice in your library too. Many readers like to write. The free classifieds in a local newspaper, coffee shop or community notice board are other good spots to advertise that you are looking for members. You might consider having a separate email address to make you more comfortable about strangers contacting you. Use the internet to fish for new members too. Nextdoor.com and Craigslist will help you catch local writers. You could start a group using meetup.com, though they do charge you a fee, check the site for details (http://blog.meetup.com/fairer-meetup-price-plans/). It may be a good idea to use the likes of Meetup to gather people up, establish a writer community, (or join one that is already set up, like I did,) then, once you get to know the members better, select individuals that you’d like to join your writing group. Thus, we found our forth member! In your description of your group be very clear about your rules and expectations. Discuss proficiency levels i.e. beginning writers welcome, only published authors etc. Four or five writers are a good start. Too many more and it takes too much time to get through all the critiques each time. It’s a good idea to arrange the first few meetings somewhere public if you are starting with a group of people you don’t know. One of the groups I’m in meets every second Monday in a local coffee shop. This works really well because it has a regular turnover of new members. The group I started myself is made up of people who are now good friends. We meet every third Thursday rotating around each other’s homes. How often you meet depends on how much time you and your members have. The Monday night group I attend is able to meet every two weeks because not everyone’s work is up for review. Only two people submit at a time, usually the Thursday before the meeting, and the whole group critiques it. This allows time for your submission to be thoroughly reviewed and discussed. The disadvantage is that an entire manuscript for a long piece of work, like a novel, can take months, even years, to get covered. The Thursday morning group allows everyone to submit a week before the meeting and everyone who submits is critiqued. This meeting is typically a longer meeting than the Monday night meeting, but we still cover everyone’s needs comfortably. Often not everyone is able to send in something every meeting and this frees up time. On the rare occasions that no-one submits at all, we get together and use the time to write and talk shop. You can decide on any time format and submission size you like. However, the longer a submission is, the less rigorously it gets critiqued - critiquers have lives too! Too short a submission means it can take a novel forever to get through. In both groups, we have decided that 15 double spaced pages, font Times Roman size 12, works best. Remember, there is a skill to critiquing. Praise the positive aspects of the work, and point out gently what needs work. A poor critiquer only points out the bad elements of a piece of writing. A really helpful one will make suggestions to improve the work. However you set up your group, remember that you are in charge and have the responsibility to yourself and the other members to make it a positive and fun experience for all of you. It will be one of the best things you can do to progress a writer. Byddi Lee: features writer. Byddi grew up in Armagh, Ireland, and moved to Belfast to study Biology at Queen’s University when she was 18. She made Belfast her home for twenty-one years, teaching science and writing for pleasure. In 2002 she took a sabbatical from teaching and traveled round the world for two years, writing blogs about her adventures as she went. She returned to Ireland in 2004 and resumed teaching. In 2008 she and her husband moved to San Jose, California where she made writing a full-time career. After the publication of her short story, Death of a Seannachai, she decided it was time to write, March to November. Connect with her on Facebook and Twitter. Interesting idea. Never thought of it before! Delighted to have suggested it. Hope it works out. Funny you wrote this--I was at lunch at a restaurant on the lake today, thinking, "I should start a writer's group, so we can sit here and enjoy this view!" But in my 20s, I started a small writer's group here in Nashville. Someone in the group decided to make it a Romance Writers of America chapter and it's HUGE now, but I was just wanting a little group where we could support each other! Sounds like your first group was a rip roaring success. No harm trying again. Good luck! I've found that a lot of local writing groups are either a)too large for me to be comfortable(I live in a big city) or b)too formal, so I'm creating a group starting with just two friends of mine because I want to have a get together where we can trade critiques OR just talk shop and brainstorm together. So this is quite a timely post for me! Sounds lovely. Starting with a core group of friends is great idea. Best wishes. I like the part about pointing out the positive as well as the negative in a nice way. That is one of the things one of my college english teachers beat into our heads. You have to give as many good points as bad so the author will want to fix it. So true. It is really motivating and encouraging. Sounds like you had a good teacher. This is good stuff though I admit to cringing away when people tell me, "I was thinking about writing a book", kind of like when they found out I was in the army for 20 years and went to war 3 times and they'd say, "I thought about joining the army"...no, no you didn't. And then they want to tell you their idea. When you ask them hove much they've written and they say they've not actually written anything or they have bought great writing software but haven't figured out how to use it! As for joining the army - wow! I can't imagine why anyone would say that to you. I can see how that could be infuriating! If you want something to happen, you have to make it happen. Fresh, interesting concepts. Thank you for sharing them with us. You're very welcome. Thanks for your feedback. Chad, I love the website your group has set up. That is a fabulous idea.